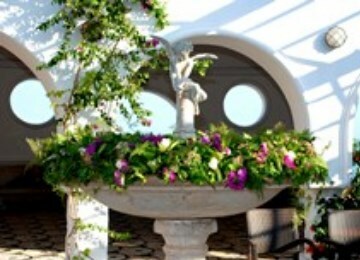 Hi Justine, I would like to say a big thank you to you and all your team at Unforgettable Rhodes Weddings! Everything was straightforward and easy from the beginning to the end, thanks to all your hard work and organisation. We didn't have to worry about a thing knowing we had you there doing all the hard work for us! We had an amazing day that we will never forget and the same goes for all our friends and family who attended. We will be recommending you to everyone in the future and wish you well with your growing business!!! We would also like to thank Mel at Avalon for the beautiful photos she took, the album was brilliant! And a very special thank you to Samina for my hair and make up, she made sure it was perfect and exactly how I had imagined it would be, it was worth every penny!! As we planned our wedding abroad we were naturally prepared for things not to go 100% to plan. What we weren't prepared for was for our day to go so smoothly and completely exceed our expectations! Justine and her team were wonderful from start to finish. Everyone was so approachable which meant we could be honest with each other and ask for exactly what we wanted. We have to say Justine was extremely professional and genuinely wanted to make our day unforgettable for all the right reasons. Even the priest said she is the number one wedding planner in Rhodes, which must be true given that he told us he wouldn't deal with anyone else! We would like to say a BIG thank you to Justine and her team for making our wedding the most amazing day ever; we couldn't have done it without you! If you are now reading my review on the 'Unforgettable Rhodes Weddings' website, I only have two words to say to you... Hire them!!!! From start to finish our experience with Justine and the company was absolutely fantastic. To be honest, I cannot possibly explain and do justice to the true professionalism, attention to detail, organisation and helpfulness that we received. After my initial e-mail (to Justine and many wedding companies in Rhodes), I knew that Justine was the one to work with. I think I had a response with a couple of hours, much to my surprise. This did not change once I had booked my wedding. Every e-mail was answered so efficiently and never once did I feel like an inconvenience with my many questions/queries/worries that I had. Obviously I'm aware that Justine and the company will work with many brides and many weddings but never once did I feel like I was just a booking. I felt Justine had the passion for me and my wedding that I had, and that was really important for me (being the control freak that I am!) The whole experience from 12 months of e-mails to the arrival in Greece, the entire wedding day and the after-care once the wedding day was over cannot be faulted. It was absolutely flawless and my new Husband and myself will be eternally grateful for all that was done for us. 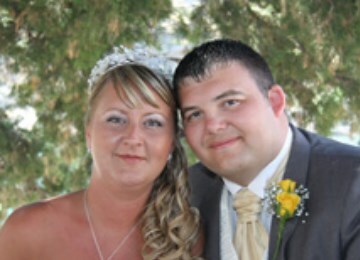 Just wanted to write to you to say thank you for all your help with our wedding. 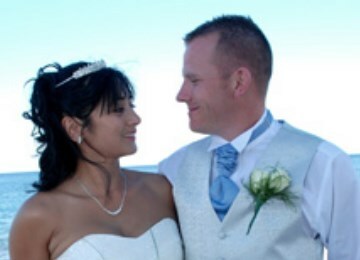 Having spent a lot of time in Rhodes working I thought I would be able to sort out all the paperwork for the wedding myself and my advice to anyone else with similar notions would be to contact Justine or Tracy in the UK instead and opt for the full service too. It was only after speaking to you that I really knew that all the paperwork would be fine and that, whatever else, we would leave the island married. Our wedding day was utterly fabulous and the weeks before were very stressful and I wish that I had just let someone else organise it all not just the paperwork and translations so that we could have relaxed a bit rather than my husband having to go to the flower market and decorate the reception venue on the day of his wedding. Please also pass on my thanks to Tracy who was very efficient and who always got back to me with information I'd asked for within hours - even at weekends and always answered questions about the various complexities associated with marrying someone who isn't English. I would definitely recommend Justine and Tracy to a friend, and if I could turn back the clock I would take full advantage of the different services they offer and concentrate on getting a tan!